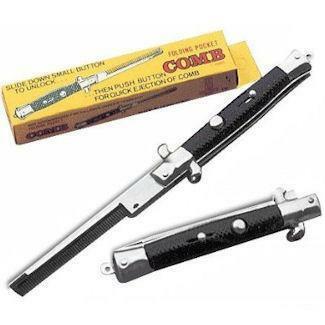 Black Retro Checkered Handle Switchblade Comb Sturdy Design. Metal Handle. Plastic Comb "BLADE". Works Well Everytime! Overall Length: 9"